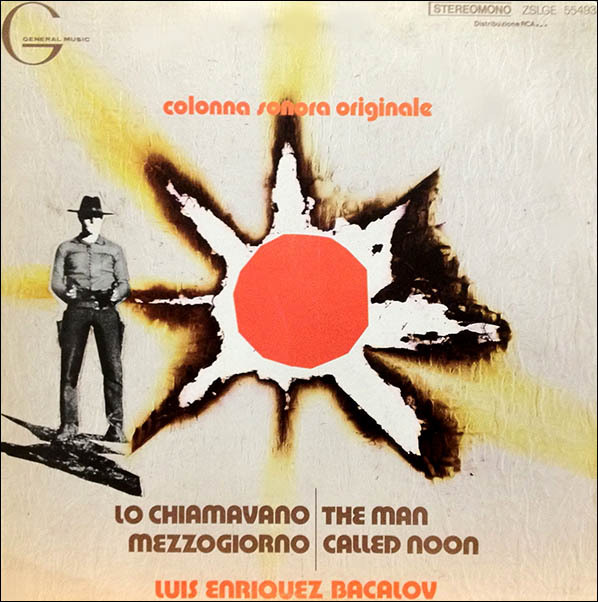 There are so many great spaghetti western scores and the 476th Soundtrack of the Week is one of them: Luis Bacalov's A Man Called Noon. The main theme is very Morricone-like, particualrly reminiscent of Once Upon a Time in the West. Predictably, it's a beautiful piece of music. The "Prologue" begins quietly with lots of space before building up to a reiteration of the main theme. "Highlands" is a guitar-driven theme in a minor key with support from flutes. It's also achingly lovely. Tension, suspense and action are the focus of the aggressively modern "Mr. Rubble Noon", followed by the very pretty and cello-dominated "Quietness". Tense dramatic underscore returns for "In the Fortress" and "Fire and Guns" as well as "Discovering", which ultimately resolves to a beautiful orchestral section. There's come clip-cloppy western-type music with harmonica in "Rimes" while "Following the Horse" is surprisingly ethereal. "Fan" and "Warning" are other wistful and lyrical cues that fit in well with the other recurring themes, "Warning" having an unexpected pastoral sound to it.